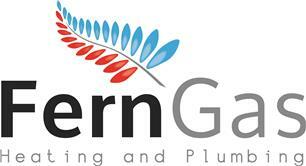 FernGas Ltd - Central Heating Engineer, Plumber based in Ferndown, Dorset. Invoice history based on 207 reviews. Established 1967. This is a 3rd Generation Family run business based in the centre of Ferndown. We specialise in all matters involving central heating and in particular, Worcester Bosch Boilers.We service and maintain any make of boiler running on natural gas, we have over 2,000 regular service customers returning each year, and we install over 200 boilers per year.As Accredited Installers of Worcester Bosch boilers we provide up to a 10 Year Manufacturers Guarantee on boilers, hot water cylinders and controls. Our four engineers are all fully employed by Ferngas and we do not use sub-contractors.Our administration work, computerised diary and van tracking enables extremely high levels of efficiency, resulting in the highest levels of customer service.We work on the basis that if we do the best we can for every customer, this will result in more recommendations.We can assure you of our best attention at all times. Ferndown, West Moors, Verwood, Ringwood, Poole, Christchurch, Bournemouth, Wimborne, Dorset.